sea view and balcony. Scores 4/5 on Tripadvisor. Average weather temp is a steady 30 degrees. Works out at £562.38 per person based on 2 adults. 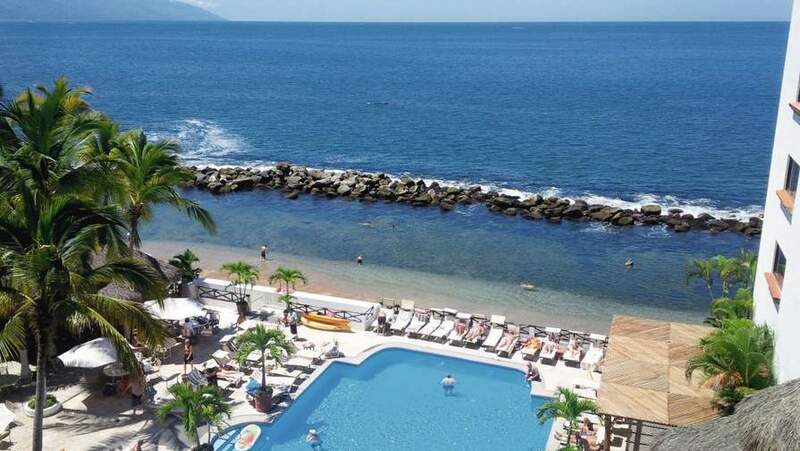 A lot of attention goes to the ocean views at the Costa Sur Resort Puerto Vallarta, which is fair enough considering you get them from the rooms, the pool and the restaurants. This place was one of the first to the Puerto Vallarta party. 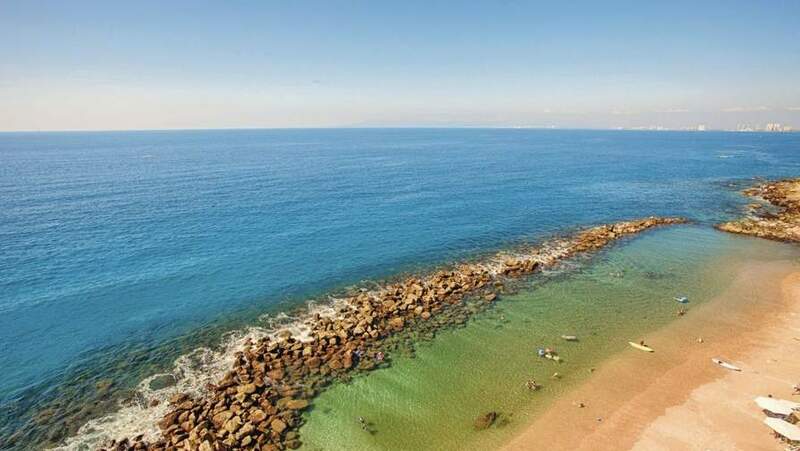 It’s built on a cliff overlooking a private beach with a man made lagoon. It’s a 10-minute bus ride to downtown – and there’s a stop just across the road. Every room has a big tick in the ocean view box here. 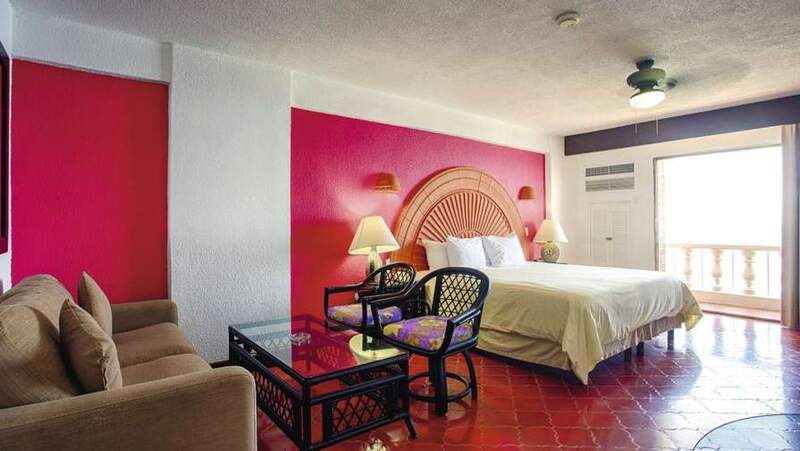 This means you’ll get a front-row seat to Banderas Bay and its spectacular sunsets. They all come with handy kitchenettes, too. Dont forget the £50 per person charge for leaving the country, cash only!!!!!! It's a lovely area of Mexico but it really should be all inclusive. Dont forget the £50 per person charge for leaving the country, cash …Dont forget the £50 per person charge for leaving the country, cash only!!!!!! I never got charged anythin to leave, wonder if its because i har connecting flights through the us. I never got charged anythin to leave, wonder if its because i har …I never got charged anythin to leave, wonder if its because i har connecting flights through the us. Its only TUI flights that charge as they aren't on the ticket price. Its more like £65 now and cash only in MXN, USD or GBP. Because for not much more there have been deals for all inc. In fact this is the first B&B deal I have ever seen in PVR. Because for not much more there have been deals for all inc. In fact this …Because for not much more there have been deals for all inc. In fact this is the first B&B deal I have ever seen in PVR. Agreed - depends on time of year etc. 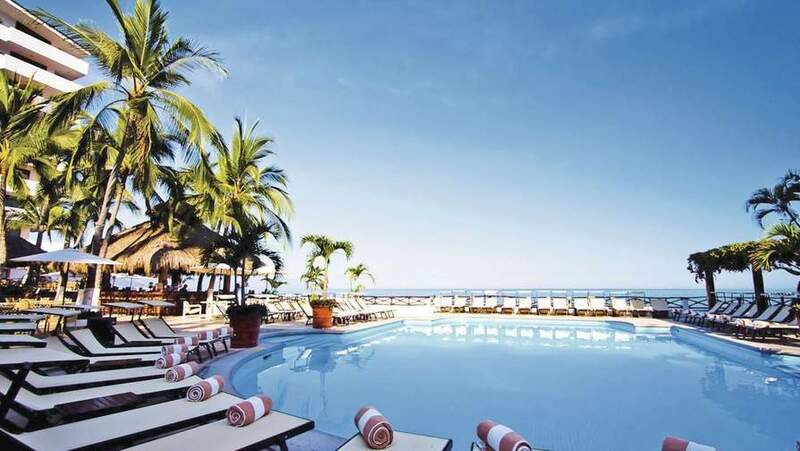 I staying in the Riu Palace Pacifico last September - 5* two weeks all inc (premium drinks and 24hour) with the Premium cabin on plane both ways and that came out at £1200 each. Think it would have been around £900-950 each without the premium seats.....but after going there economy (Extra leg rooms seats) last Jan for a week I wouldn't go without premium now as its a long flight with some very annoying passengers! It is a lovely place though. The Magic Towns tour (Pueblo Magico) is an excellent day out to see the real Mexico. Not much more. No. It's the flights that are bulk of money for this area....see above. AI is not for me I'm afraid, all too tempting to stay in the hotel because you've paid for it and miss out on a lot of local culture and food that you don't get in the AI resorts. 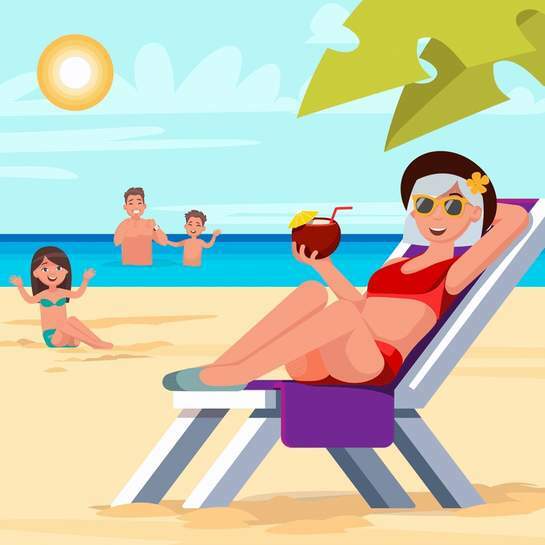 AI is not for me I'm afraid, all too tempting to stay in the hotel because …AI is not for me I'm afraid, all too tempting to stay in the hotel because you've paid for it and miss out on a lot of local culture and food that you don't get in the AI resorts. I used to think that until I went on my first AI holiday last year....to PVR.....In reality it makes no difference to you going out and about. I used to think that until I went on my first AI holiday last year....to …I used to think that until I went on my first AI holiday last year....to PVR.....In reality it makes no difference to you going out and about. It's not about paying twice. Pick the right hotel and you can eat and drink when you want so it doesn't mean you're tied to the hotel. We went out on trips, days out in the old town etc and once we'd filled up on breakfast it was just snacks and drinks we needed to buy so hardly paying twice. On all the trips we did too, lunch and drinks were included. I've heard Mexico's quite bad for kidnapping's, what's this area like? Perhaps this is cheap for April, but normally when I go in early December I never pay more than £900 for 2 weeks all inclusive in a couple of 5 star top hotels. This is a really good deal for me as I won't eat any buffet food now after being very ill from several in the past. Plus when you eat out you can pick a relaxing restaurant rather than the bun fight noisy Buffet experience. Only for holidays leaving the UK after May 1st. Most of mexico is no more dangerous than most places. There are dodgy parts in the cities but there are in every city I’ve been to.. I really hate the "tourist" whitewashing of what's going on in Mexico. "Most of mexico is no more dangerous than most places" Mexico has horrendous problems with and cartel violence with 5 of the 6 most violent cities in the world. Yes, it is true that the tourists are protected some degree - they bring in a lot of money after all (have you considered where that money goes? ), but to act like their is no problem is insulting to the people who have to live with the corruption and violence daily. Lot's of people chose to vacation in areas with human rights issues but they mostly do so with their eyes open. 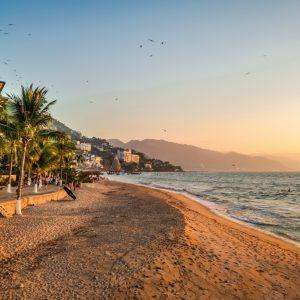 Isn't Puerto Vallarta full of Mexicans at this time of year?Just what a …Isn't Puerto Vallarta full of Mexicans at this time of year?Just what a friend told me?